An open kitchen filled with lots of natural light, from here. Love this! Im obsessing over white walls at the moment! Absolutely adore the concrete floor! Open and light-filled. I'll never argue with that combo! 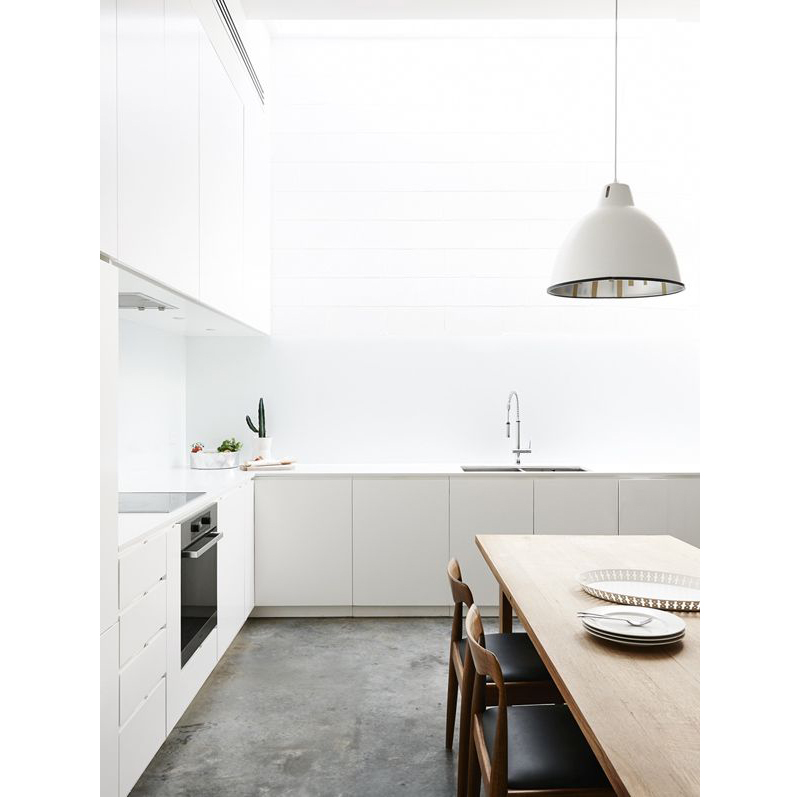 Wonderful kitchen, I love the concrete floor. The wooden table adds the perfect amount of warmth to the space.